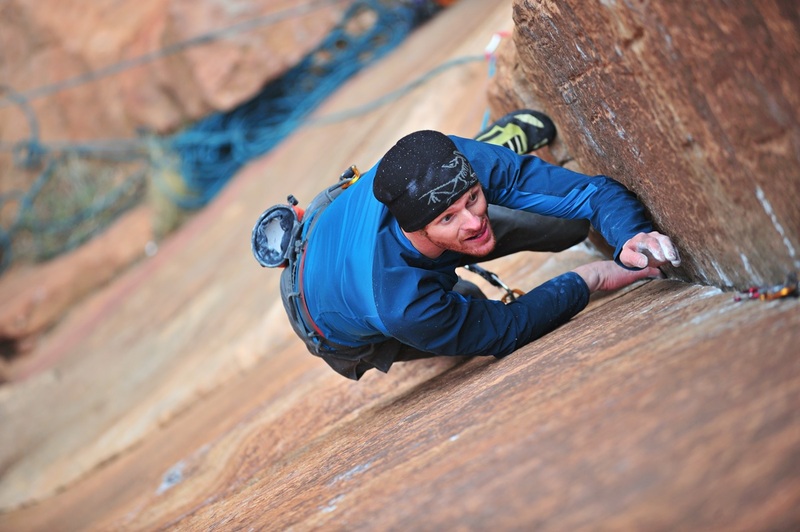 Early in 2009, I made the first free ascent of an aid line in Zion called Gentlemans Agreement. This is the crux pitch, it goes at 5.13 something. I was lucky to have Keith Ladzinski take some cool photos (check out his site http://ladzinski.com/). Yes this is a tips finger crack dihedral. I actually pulled my back out liebacking this section!